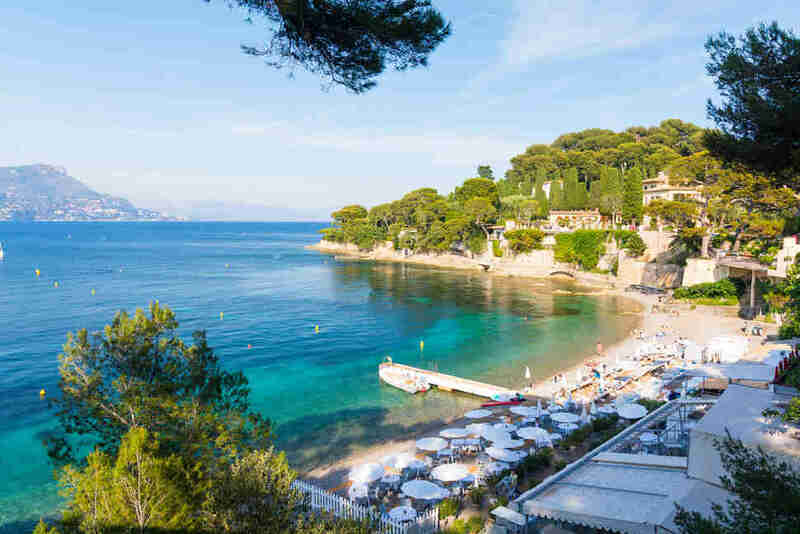 Everyone knows the French Riviera (aka the Côte d’Azur) as the perennial playground of the rich and famous in France, hosting everyone from British royalty to Hollywood’s biggest egos on its silvery sand beaches. Certainly, as someone who grew in the more modest Loire Valley, I had always viewed the glamor, privilege, and extravagance of the French Riviera as far removed from the reality of everyday life. It was only when I took a trip there for myself that I discovered its secret. No, not that the sea is still warm enough in October for a moonlit dip, although that was a nice surprise, too. The key, I learned, is to get away from the big resorts and delve a little deeper into the region. That’s where you’ll find the most beautiful and authentically French places -- perhaps at the bottom of a mountain gorge, or in a centuries-old hilltop village square. To find a hidden gem, you just have to know where to look. Tourrettes-sur-Loup is a typical unassuming French village -- the kind of place where the locals greet you with a friendly "bonjour" as they pass you on the street. This place is a treat for all the senses, with stunning views across to Nice, the peaceful sound of the Loup river gushing below, jasmine-scented streets, and a Michelin Star restaurant, 19 du Clovis. Stop by a local artisan studio for authentic handmade souvenirs, and don’t forget to try some candied fruits, a regional specialty. This is the French Riviera’s very own Venice, in the bay of Saint-Tropez. OK, so it’s faux-Venetian -- a purpose-built copy of the original, constructed in the 1960s -- but Port Grimaud is still a lovely town with colorful canal-side buildings, charming quaysides, and boutique shopping. 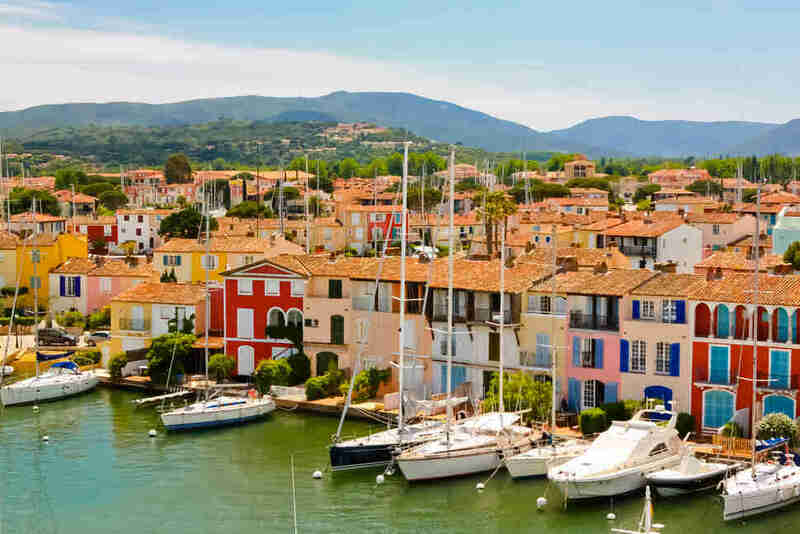 Naturally, the best way to experience it is to take a boat-ride through the waterways, but you can also catch the Petit Train from the port up to the medieval town of Grimaud. Climb the castle tower for sweeping views of the glittering Mediterranean. 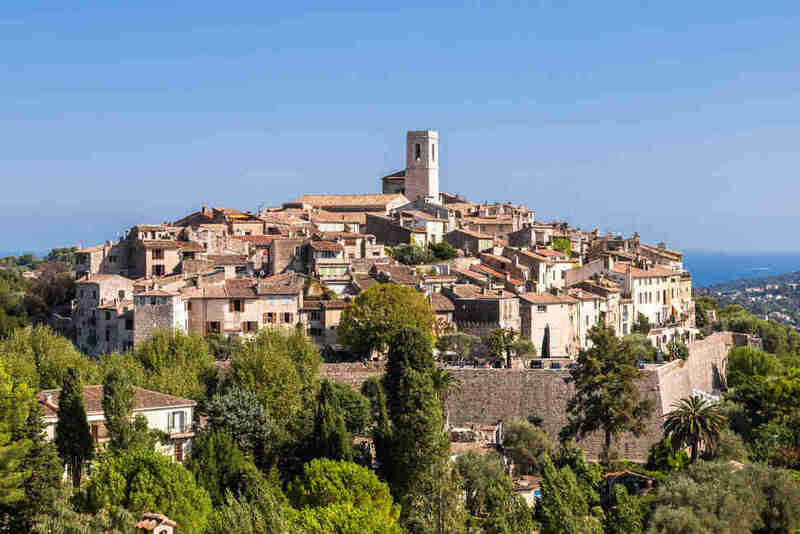 Mougins has a kickass setting, with a dramatic backdrop of the Alps on one side and gorgeous panoramic views of the Mediterranean on the other. But there’s more. 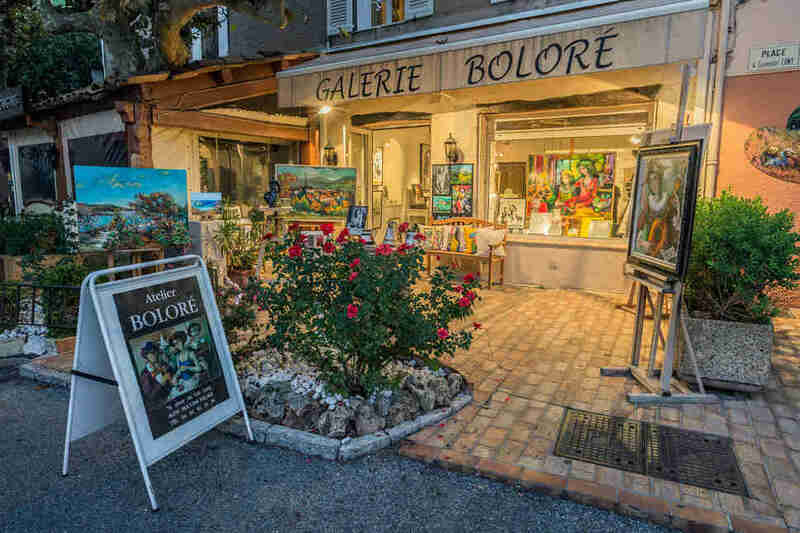 It’s an art-lover’s paradise filled with independent, upscale art galleries, including work by local upcoming artists and a few you might know too: Picasso, Cézanne, Dalí et al. 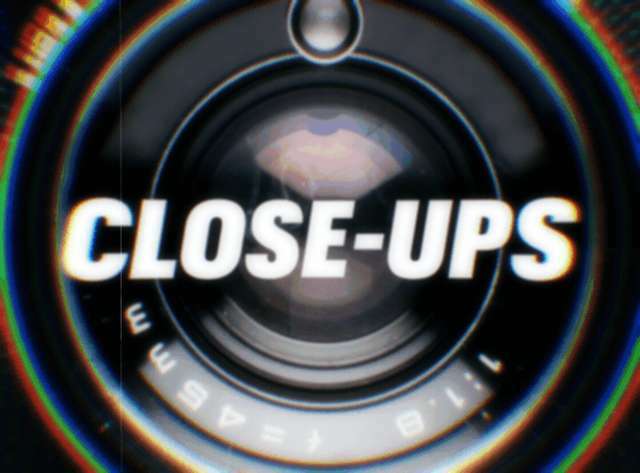 Cannes is only half an hour down the road, which explains why many Hollywood stars choose Mougins as their haven during the film festival each May. For an exquisite dining experience and a real taste of the French Riviera, order the Saint Pierre fish and a bottle of rosé at Place de Mougins. This upscale resort has a clear, snorkel-ready water lapping its pebble beach, and luxury yachts bobbing in the harbor. The beachside seafood restaurant is at the heart of the action -- grab lunch and/or dinner then flop onto a sunlounger. The whole place gets busier as the day goes on (especially in summer), so try to get there before the crowds arrive, or make a reservation in advance. The scenic hike along the Cap Ferrat coastal path is well worth the effort for the gorgeous views across the bay towards Monaco. 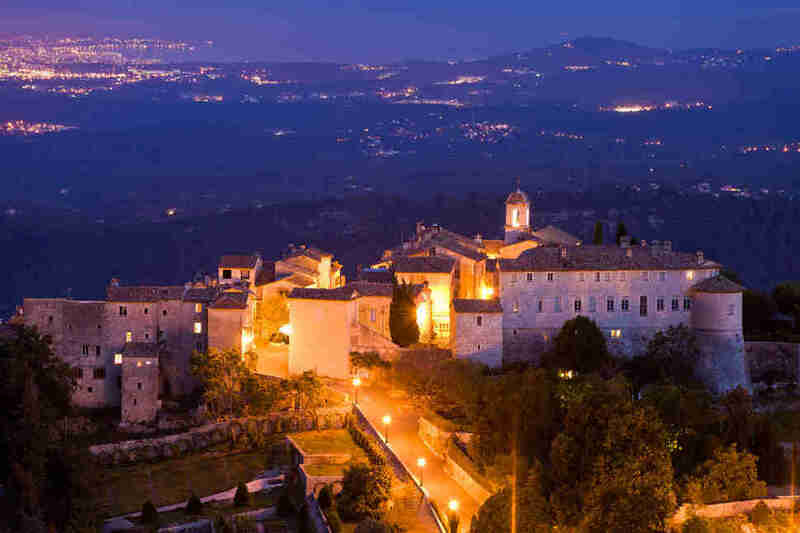 St Paul de Vence is just a half-hour drive from Nice and is one of the oldest medieval hilltop towns on the French Riviera. Proof of this exists at La Petite Cave, a 14th-century wine cellar where you can buy some excellent local wine and, a personal favorite, lavender liqueur. The beauty of the surrounding area and the extraordinary light has inspired artists for centuries. The Fondation Maeght art museum has works by Braque, Chagall, and Miró, among others, and its enchanting sculpture garden contains pieces that were created in situ among the trees. 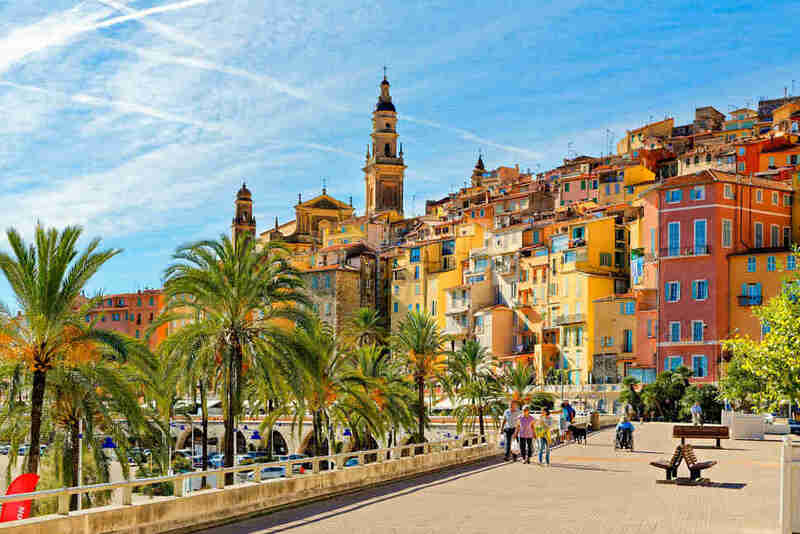 Vibrant colors along the waterfront characterize this sleepy town, which is more affordable than many of its glamorous Côte d'Azur neighbors, but just as beautiful. It’s smack-bang on the border with Italy, which means you get a bit of a cultural mishmash and -- crucially -- a Franco-Italian food scene. It’s most famous for citrus fruits, and if you’re around at the end of February you’ll catch the annual Lemon Festival. 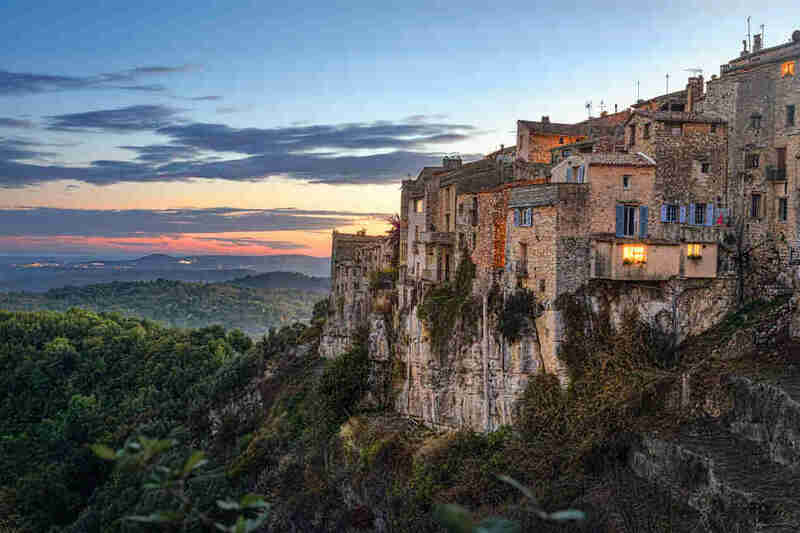 Gourdon is a quiet village perched on the edge of a rocky spur above the Gorge du Loup -- in other words, there are some s-weet views up there. The sleepy streets are lined with bijoux boutiques, perfume shops, and flower-lined patios to explore at snail-on-vacation pace. But before you start thinking this all sounds a little nap-inducing, remember it’s on the edge of a gorge -- canyoning down the rockface is a rite of passage. 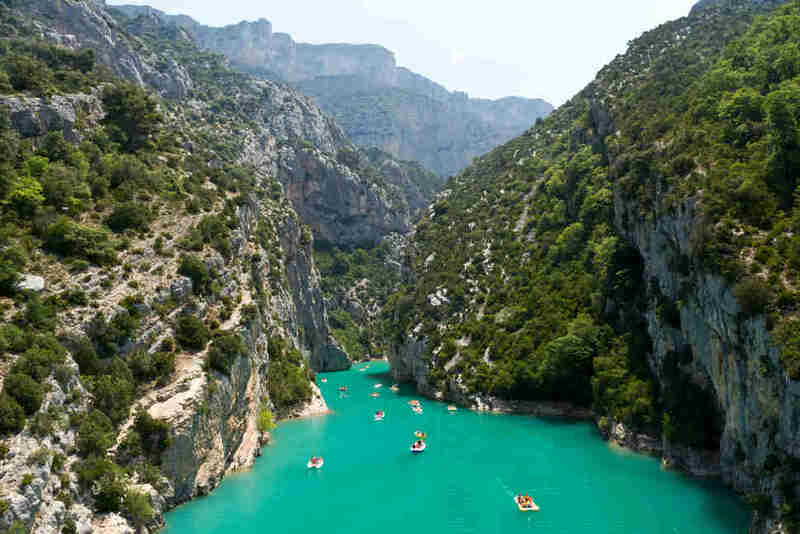 If you’re into canoeing or climbing, you’ve probably dreamed about the Verdon Gorge, where crystal-clear aquamarine water flows through a steep canyon. There are two ways to explore it. You can choose to make the two-hour car journey from Cannes and peer down on the canyon from the zig-zagging highway, but there’s always a danger of getting stuck behind a tour bus up there. Better to take a hiking trail down to the canyon floor, then hire a kayak, canoe, or pedalo to go out on the water. This is my personal favorite, and one of the most Instagram-worthy places on the entire coast. 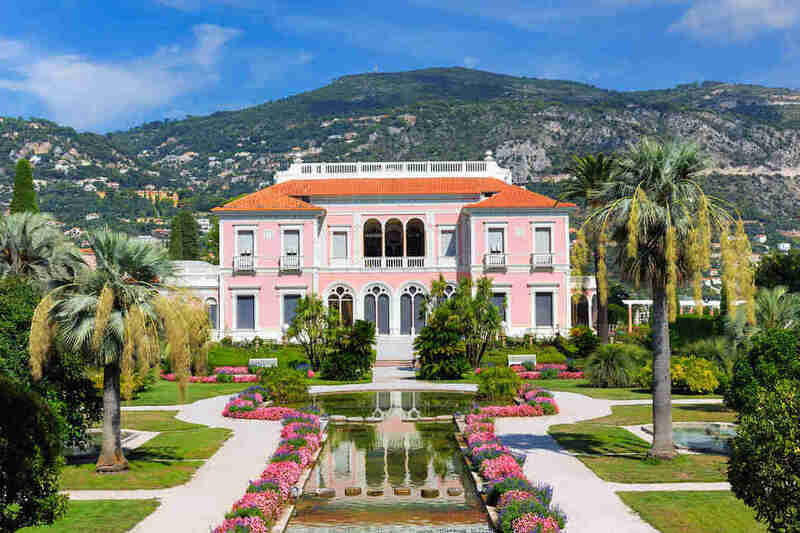 The rose-colored Villa Ephrussi was built in the early 20th century for Béatrice de Rothschild, wife of banker Baron Maurice de Ephrussi. She filled it with antique furniture, famous paintings, tapestries and sculptures, and an extensive collection of rare porcelain from all over the world. The nine gardens surrounding the villa each have a theme, including French, Florentine, Spanish, and Japanese. 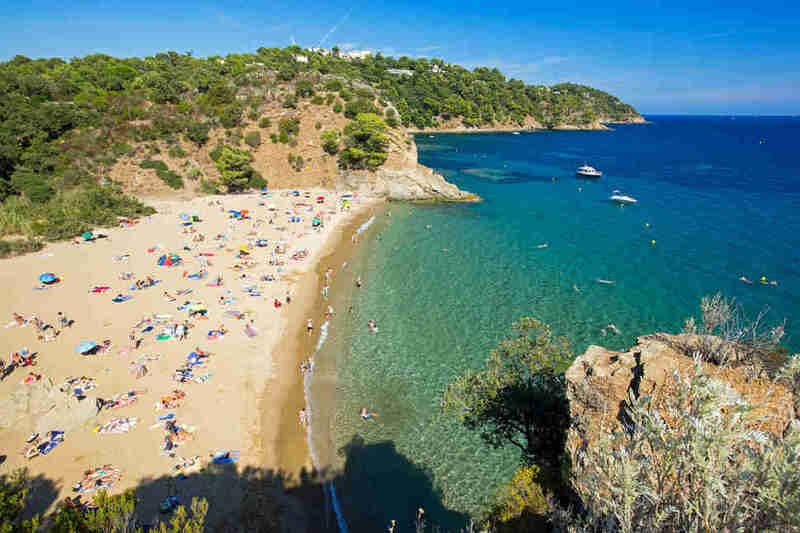 The peaceful atmosphere and the shade of the pine trees offer respite from the noise and heat of Nice on a summer day, and you’ll love the sea views. 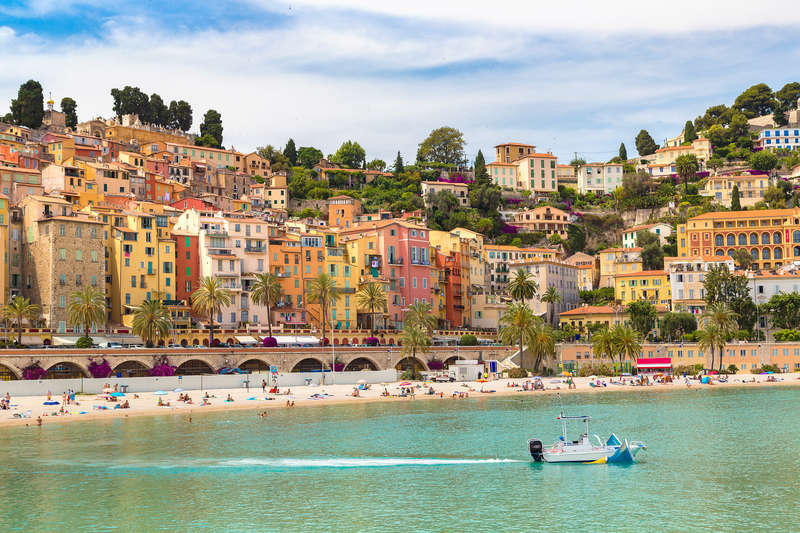 Cavalaire is Saint-Tropez's more laid-back neighbor, with plenty to offer thrill-seekers and leave-me-alone-I-just-want-to-chill-ers alike. The beaches are *all* about watersports, and you can take hydroplane trips from the port. The marina is built for bar-hopping and people-watching, but you can escape the bustle with a stroll down to the Plage de Bonporteau. There you’ll find a small, sandy cove backed by cliffs and greenery -- just remember an umbrella, as there's very little natural shade. It turns out a 15-minute boat ride is enough to keep most tourists away. That’s all it takes to get from Cannes to Saint Marguerite, the largest of the largely unspoilt Lérins Islands. When you arrive, get your geek on at the fort museum, which contains the cell of the 'The Man in the Iron Mask' and is therefore probably the closest you’ll ever get to Leonardo di Caprio. 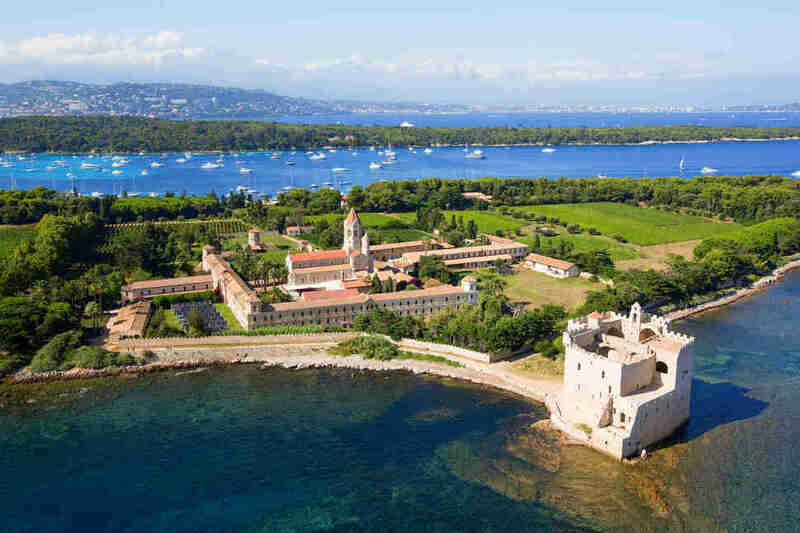 The smaller, less touristy, and in some ways more charming of the two islands is Saint Honorat, which has been home to a community of monks for over 1,500 years. Lérins Abbey and the 15th-century fortified monastery are open to visitors, and you can buy homemade wine and honey for all the folks waiting for gifts back home. After winning big in the casinos, and maybe even rubbing shoulders with royalty by the Prince’s palace (it happened to me! 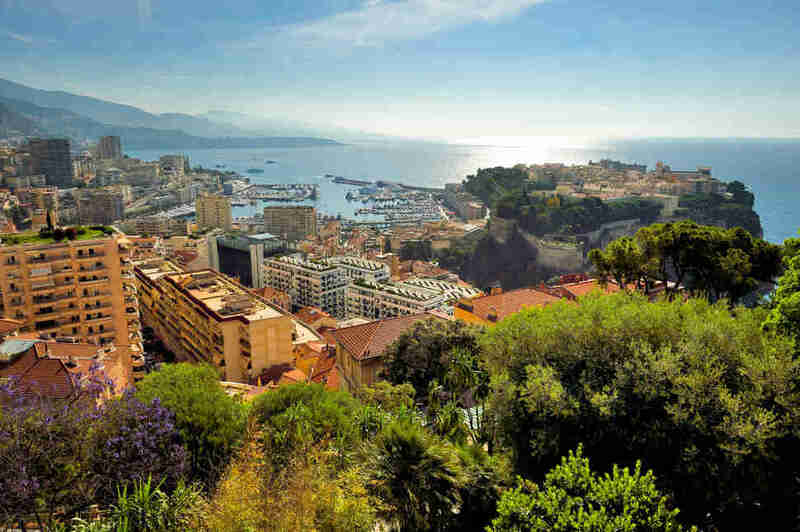 ), discover another side of Monaco at the Exotic Garden. It’s the perfect spot for capturing incredible panoramic shots of the microstate, and the colorful garden itself is -- true to its name -- bursting with exotic plants. If you’ve got a couple of hours, get yourself lost among the cactuses before stopping for an impromptu picnic. Émilie Thyebaut is a tour agent and travel writer. She and her husband Guillaume run France Just For You, a small self-drive tour business, from their home in the Loire Valley. They take pride in sending their travelers off-the-beaten track to discover France's hidden beauty spots.